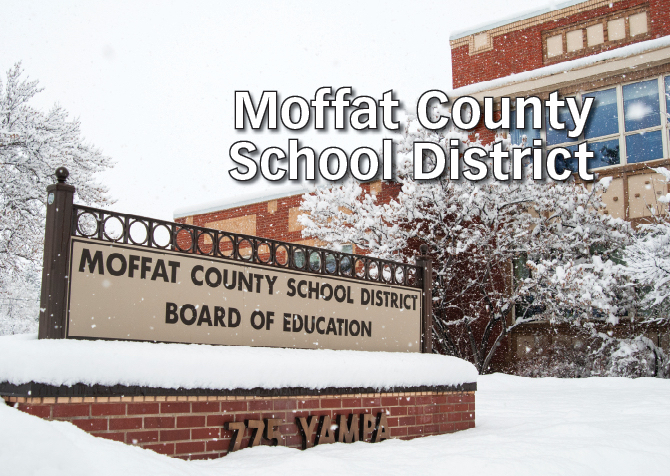 CRAIG — Two vacancies are expected to be declared on the Moffat County School District Board of Education when the board meets Thursday, Nov. 29. The board is expected to accept the resignation of Vice President Lee Atkin, who is stepping down to better support his family as they face medical challenges. Board members will then declare his seat vacant and re-declare a vacancy in District 6. Once the vacancies are declared, the process to apply for appointment to the school board will be provided and made available in the Craig Press. The board of education’s regular monthly meeting is scheduled for 6:30 p.m. Thursday, Nov. 29, in the boardroom of the Yampa Building, 775 Yampa Avenue. Before the meeting, board members will meet at 4 p.m. for a workshop, which is set to include the following. • A report from appraisers Bob Stevens and Mike Smith. • A discussion core values. • A policy hearing regarding policies about the Public Participation at School Board Meetings, Walkers and Riders, Bus Safety Program, Student Transportation in Private Vehicles, Foreign Exchange Students, School Related Publications, and Parent Notification of Employee Criminal Charges. • A policy discussions concerning policies about Safe Schools, Agenda, Financial Administration, Bidding Procedures, Communicable Diseases-Staff Health, Support Staff Recruiting/Hiring, Equivalence of Services, Student Organizations, Student Organizations – Open Forum, and Administering Medications to Students. • Approve a consent agenda with minutes of prior meetings and regular financial reports. • Approve core values for the board. • Approve the 2017-18 audit. • Elect a vice president of the board to replace Atkins. • Consider second reading of policies that underwent a public hearing and first reading of policies that were discussed during the workshop held prior to the meeting. Board members will also receive regular reports from students, community, and staff. To view the complete agenda, visit moffatsd.org.